Lemongrass Body Polish, infused with Lemongrass and Eucalyptus invigorates the skin. 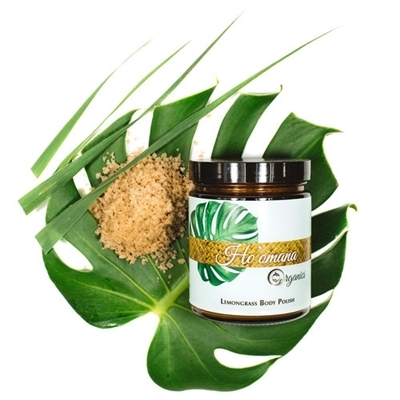 Hawaiian salt detoxifies and exfoliates, while Kukui and Coconut oils nourish and rejuvenate. Awaken your skin to a smooth silky glow.